Summer is officially here this week! When it heats up outside, I find myself craving lighter foods and beverages, filled with fresh fruits and veggies. A cream-based soup sounds great and cozy for winter, but in 103 degrees? No thanks! In celebration of the summer season, I've rounded up some of the best recipes for light, fruity summer beverages. Some are boozy, some aren't. If you're still able to enjoy alcohol, aka NOT pregnant, poor a little out for your sober homie Paige, mmmmk? There is NOTHING better than a wine spritzer by the pool! The mineral water helps to hydrate you and the bubbles add a refreshing element. Add some fresh berries to take it up a notch! You can do this with white wine too - both are delicious. This bevvie had me at coconut water, mint and basil! How refreshing is that? I'll be subbing out the champs for sparkling grape juice. The recipe used Vita Coco coconut water... I'm a bit of a coconut water connoisseur and I'll tell you that is the WORST tasting brand. It's not even drinkable, IMO. Use anything but that brand, unlike what the blogger suggests. 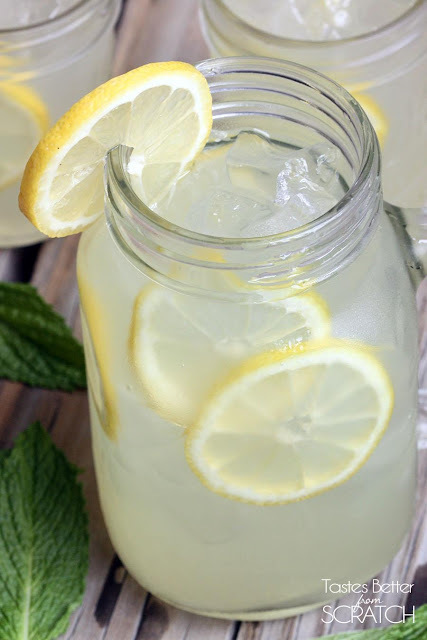 Have you ever had real, fresh made lemonade? Ohmygersh, it's so good. I like mine on the more tart side so I usually take out some of the sugar recipes call for, but do as you will. Just give it a try and taste the difference from concentrate/pre-made stuff! While I seriously enjoy lemonade, I have a deep love affair with limeade! It just tastes... Better. What makes this "Brazilian"? No, it's not hairless and there's no silicone breasts in the recipe. There's sweetened condensed milk in it. I feel like American's are forgetting the glory that is condensed milk (sweetened or not). This recipe will remind you. Sometimes something sugary is just too much. When it's REALLY hot, I find I prefer nonsweet beverages, but when they're cold, that's hard to come by. 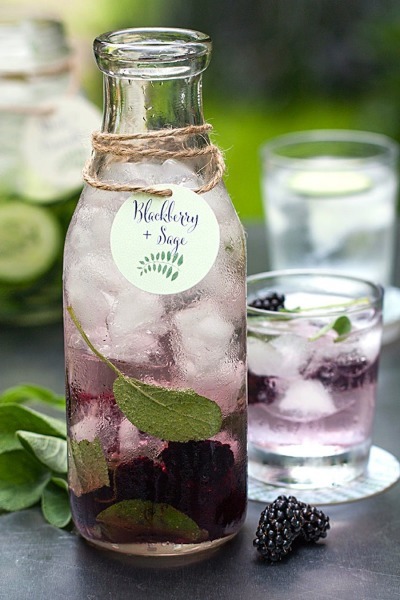 Infusing water with fruit and herbs is a great way to bring some flavor without all the sugar! The link below has 20 different combinations, and you can get as creative as you want. What kind of beverages do you enjoy during the summer months? As always, linking up with Karli, Amanda and H54F! Oh gosh, you have me craving all of these and it's not even 8:30!!! They all look delicious! Don't you worry... I'll be sipping on some alcoholic summer beverages alllll week next week. ;) This totally got me in the mood. 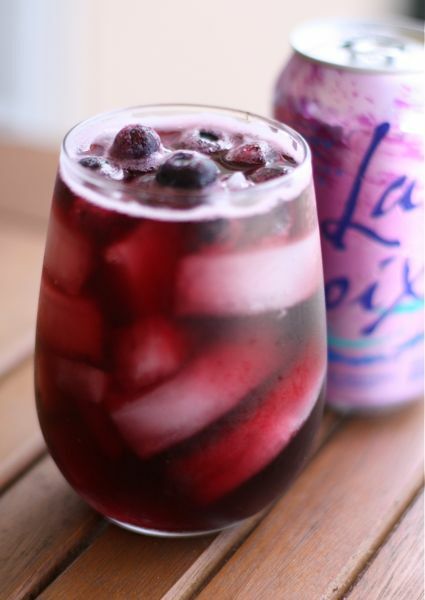 that berry spritzer sounds AMAZING!! Yaaassss! Fresh lemonade is amazing. I would love to try that Brazilian Limeade. My favorite summer drink (non-alcoholic) is either a Cherry Limeade or a classic Arnold Palmer. Good stuff. Hello! I am visiting from the link up! I have read a few of your posts and I really enjoyed them! I will be following! Those drinks look delicious. I can't wait to try the wine spritzer. Have a great weekend! Love all these drinks! During the summer, I like to rotate Arnold Palmers (I like to make mine with pomegranate or blueberry iced tea! ), infused waters and spritzers. Polar Seltzer has some amazing flavored seltzer waters - and I must go through 1 to 2 liters bottles of Pomegranate Sangria or Strawberry Watermelon (seasonal flavors) & Vanilla Pear or Orange Vanilla. um yes please. nothing better than a refreshing drink when it's hot out! yes to all of these please. 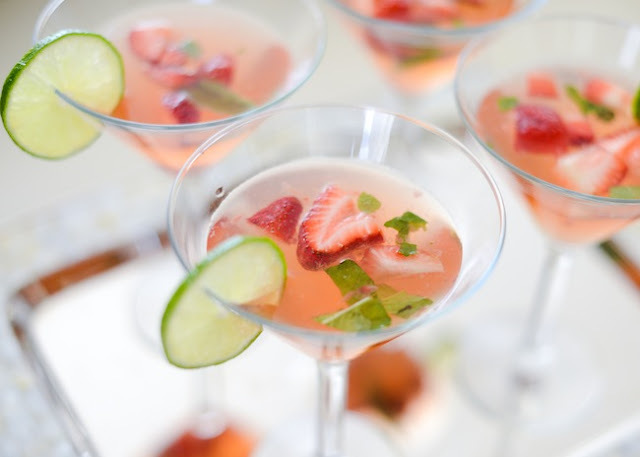 My second last blog post included my fave hydrating summer cocktail - frozen watermelon blended with coconut cream, coconut water, lime juice and whiskey. seriously Its beyond amazing and you will wonder how your glass got empty so quick. 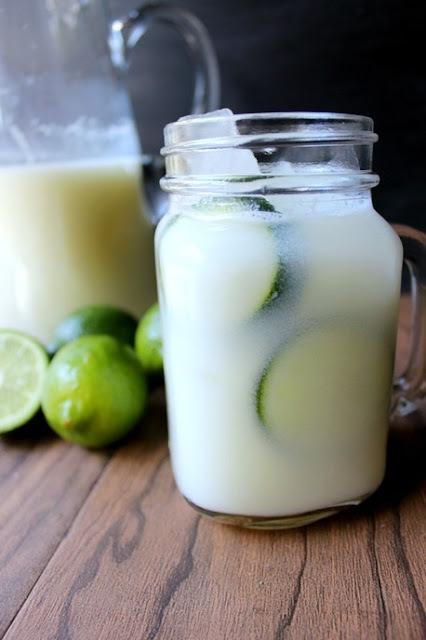 Im also all about frozen lime tequila pops made with condensed milk. Those are for when daddys on duty. Pinning this because YES to all of them!! These look delicious! Thank you for sharing it.